Our happily ever after felt as if it was being taken away from us. Madilyn Rae Lens, was born on October 19th, 2012. She was born a perfectly healthy little girl. She was a dream come true! 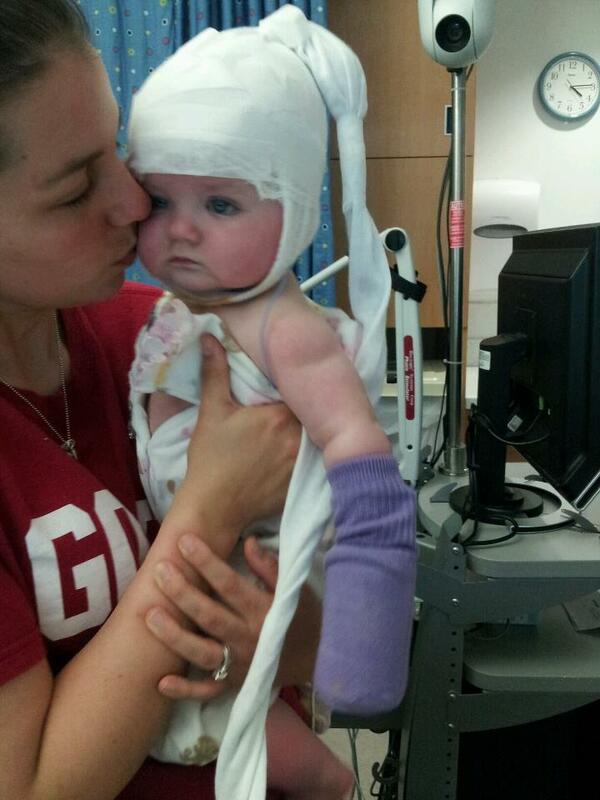 We had no reason to believe that she would be anything but healthy as she hit milestones in her first 5 months of life. All of those thoughts changed when at 5 1/2 months old she started doing a weird twitch with her arms. I was feeding her and she kept throwing her arms in the air. My mommy instincts went off immediately. Deep down inside I knew something was wrong. Nothing she was doing looked like a seizure to me, but for some reason my mind kept going back to wondering if it was a seizure. After a day of seeing light twitches I took her to her pediatricians office. Unfortunately, her pediatrician wasn’t there so we had to see another provider there. He told me he didn’t think it was anything other than motor reflexes but he would refer us to a neurologist to calm my fears. I left his office that day full of mixed emotions. I was happy that the doctor said it was probably nothing but still had a gut feeling that he was missing something. I had been around my siblings when they were infants and I didn’t ever remember seeing anything like this. I cried the entire way home at the thought of waiting 2-3 weeks for the referral. How could I wait that long for answers? I called my husband and told him something wasn’t right. 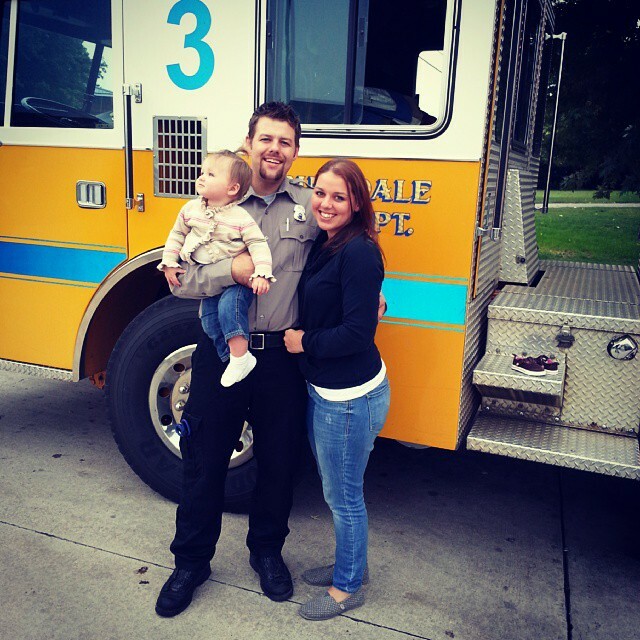 He immediately left the fire station and came home. That night I consulted the lovely library of Google. Everything I looked at said the term Infantile Spasms. I was sick after reading information about this catastrophic type of seizures. I knew that this is what she had. I cried and told my husband about it and he agreed we would take her to a children’s hospital first thing in the morning. I didn’t sleep a wink that night. My mind was going in all directions. The next morning, while I was getting her ready to leave for the hospital, she had one of the most intense episodes. Her eyes started rolling up and she would cry like she was in pain. We loaded up and headed for the hospital which was two hours away. The car was silent the entire way. I was able to catch a few of her twitching episodes on the way to the hospital . We got to the ER and we were immediately admitted after the ER doctor saw a video of the seizure. Still at this point no one was calling it a seizure they were calling them muscle spasms, which gave me a false hope that maybe it was nothing. After being admitted she was put through a million tests, blood, urine, MRI, EEG, EKG and probably more that I don’t recall now. After her first EEG it was confirmed that our perfectly healthy little girl was having Infantile Spasms and if we didn’t get them under control immediately it could lead to mental retardation. Those words hit me like a ton of bricks. We were devastated and couldn’t seem to figure out how she could have such an awful type seizure when she had been healthy up until now. After they explained her diagnosis of IS they said they also needed to rule out a rare genetic disorder that can sometimes coexist with IS. They were going to check to see if any of her organs were “marked” with a disease called tuberous sclerosis. I remember being 100% confident that they were wasting their time looking for this rare disease. They already told us she had IS, it couldn’t get worse than that. I recall my mom and husband trying to find information regarding TSC online and I got a little angry at them. I didn’t know why they were wasting their time looking at it because she simply could not have a rare genetic disease along with these seizures. I have no doubt that I was going through denial at that point. The next day we got the heart wrenching news that she in fact had tumors on her brain and heart. She showed enough signs that she did have TSC. My heart broke into a million pieces that day. At one point I do remember feeling as though life was over. I was terrified of our daughters future. All of the things I had envisioned for my daughter was suddenly ripped out of my hands. We were told that she would be delayed, she may need brain surgery, she may never be able to live an independent life. She may never walk, talk, feed herself. It was all doom and gloom. Our happily ever after felt as if it was being taken away from us. 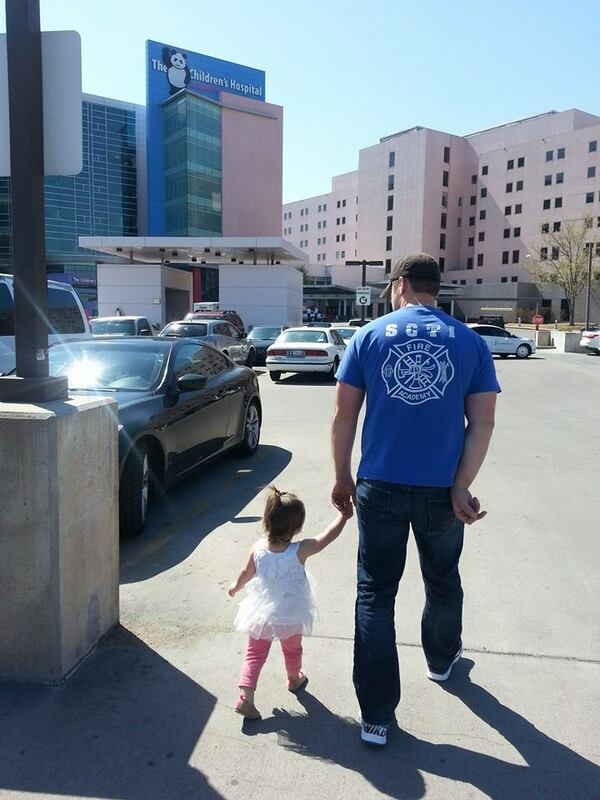 We left the hospital a few days later and were as well equipped as possible for her new type of care. After two days of taking Sabril her IS disappeared! And about a month of being on Sabril we started to see her personality shine through. Although we still had the fear of this disease. she was showing us signs of hope! We waited and watched her like a hawk, anticipating the next seizure. Fast forward a year. We haven’t seen a seizure since April 26th 2013. We also have been beyond blessed that all those frightening things we were preparing for have not shown themselves. Madilyn is currently on track with her development and is a month away from starting the weaning process. The past year has been such a whirlwind. Our emotions have been scattered all over the place. Thankfully we have outstanding family members and community that have helped us move forward with life, and have taken on our cause as well. 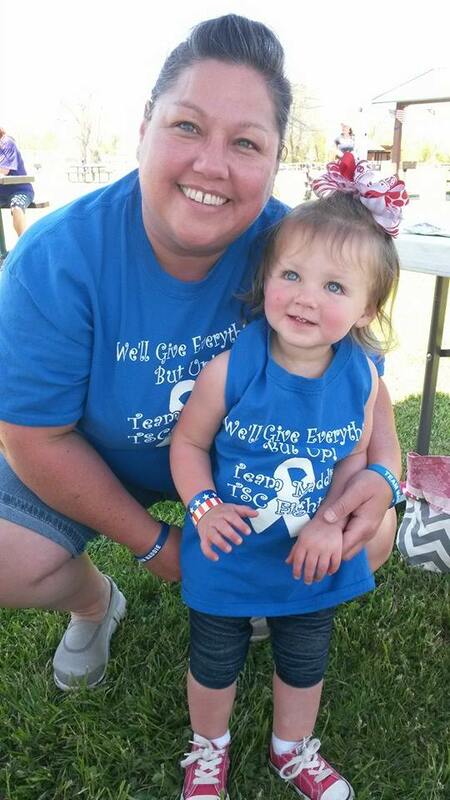 We have seen an overwhelming amount of support for Madilyn and our family. Without the support and our faith we would be lost. I am so beyond thankful for this past year. She has shown me what it means to have courage and strength. She doesn’t stop fighting for one second, which means I wont stop fighting for her either. She is my little fighter, and my constant reminder of true love. 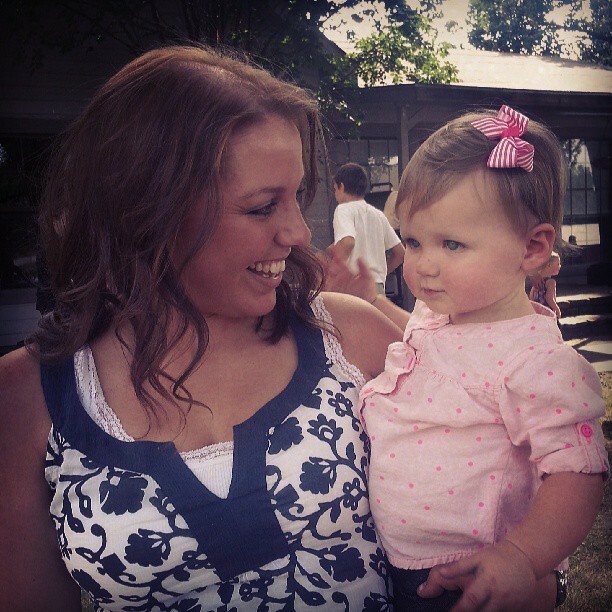 Check out Heather’s blog Life with My Princess and her contribution to this blog for 2013’s TSC Awareness Month. Previous PostHe is happy. He is loved.Next PostI wouldn’t change her for anything. Your story though heart breaking is also very inspiring. I know now that we will “fight” , “push” and “pursue” for a cure and for Maddie’s well being. Thank you Heather for reminding me how strong faith is and how wonderful our GOD is. Maddie is HIS gift and getting to hold her, sign with her, sing with her and to love her is so precious. SHE has my heart and my prayers. I have asked GOD for the desire of my heart….for Madilyn to be completely healed and for her to grow up doing all the “normal” things we all take for granted. This little girl, like her momma, has my heart! I love you ALL!! !